In addition to being super time consuming, dogs are hella expensive. 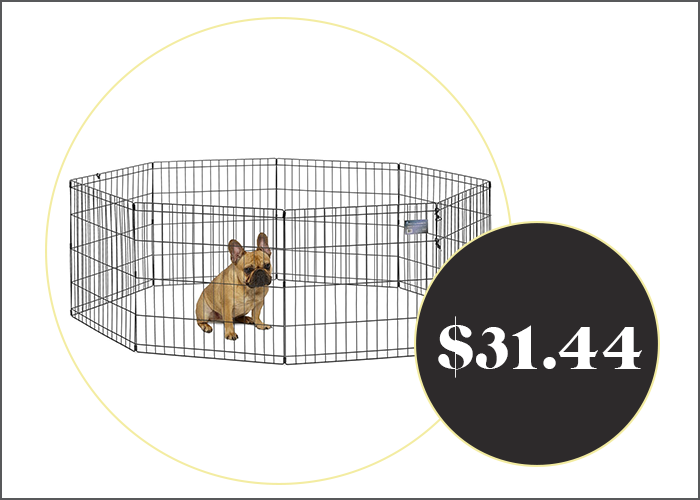 Some are costly just to acquire — some are basically given away from shelters. But all require vet care, vaccines, food, and other various supplies that will quickly become more important than most of your “necessary” expenses, because without them, your dog will perish. But with so many dog-products on the market, it is hard to sift through and figure out which ones you actually need. When I got my dog, I got a new-puppy care package with a bunch of samples of suggested products I should buy for my dog. This included things like glucose drops, tons of treats that his tiny mouth wasn’t even capable of holding, vitamins, and various training sprays (to help him pee in certain spots, and to prevent him from chewing other things). I was really happy to receive all of these things and was excited to use them. However, to my surprise, I haven’t busted out a single one of these things since the day I brought Gaston home. Actually, that is a lie: I tried to use the pee-pee spray once, because I was told that only dogs could smell the scent and humans wouldn’t be able to — but I did smell it (am I a dog?) and it smelled horrendous. I realized that a lot of products exist for dogs, and while some may be nice or helpful at times, you really don’t need the vast majority of them. Dogs are perfectly happy as long as the temperature is comfortable, their water dish is full, and they have one of your favorite shoes to gnaw on. 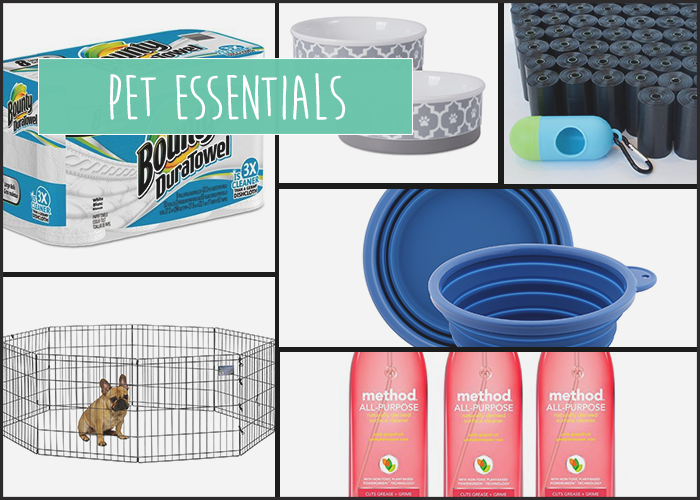 I decided to round up the puppy products that I actually found to be absolute necessities and create a little Puppy-Parent Starter Kit of stuff that you’ll seriously use. I left out things like food and treats, because those will vary so much depending on your dog’s age, size, and health needs. So other than food (which you vet will help you figure out), if you’re a new dog-parent — or are thinking about becoming one soon (!!!!) — this list of products is gold. I grouped these items together because you really at least need some sort of collar-and-leash situation. I recommend a harness instead of (or in addition to) a collar, because it is often more comfortable for the dog since it doesn’t tug on their tiny neck, and it is much safer and more difficult for a squirmy puppy to slip out of. As for a leash, I recommend starting with a cheap-ish one to see what kind of dog you have — some dogs can get away with any old leash. I have a family dog named Oscar who is a big doofus loves to chew on his leash when he gets excited. He chewed through multiple leashes before my mom realized he needed a heavy-duty one that was impossible for him to break. This one does the trick if your dog is a wacko like mine was. Other than that, any old leash will do, as long as it is attached to a harness to keep your poopy safe and comfy on walks. 2. Food & water bowls. 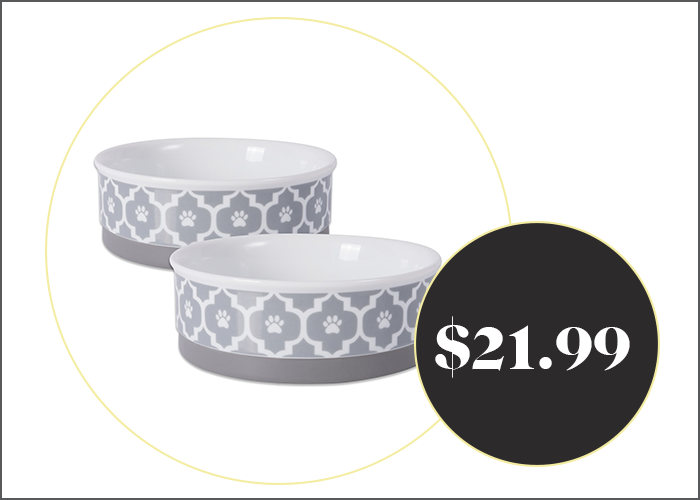 I’ve heard talk that the metal bowls have more chemicals that are potentially dangerous to dogs, but I have no real science or evidence to back this up — however, if you want to be safe, opt for a cute ceramic set like these . 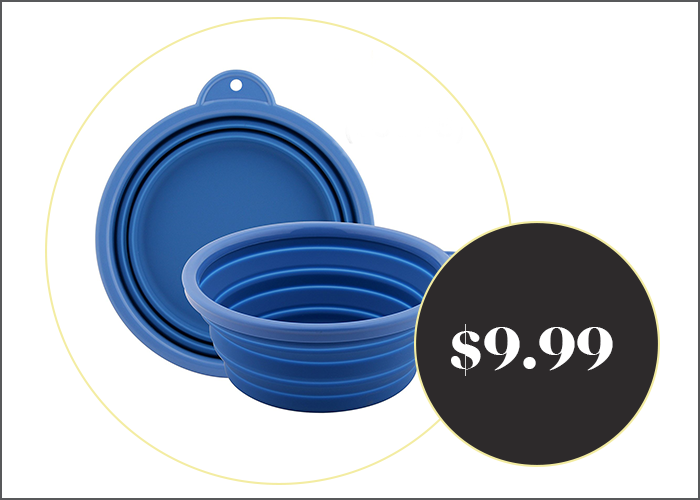 If your dog is super energetic and knocks his bowl all over the place because he’s so damn excited for his lil’ supper, try a plastic one so he can’t smash it on your kitchen floor. 3. Travel food & water bowls. You’re very likely to be taking your pup on a few adventures, whether it be to the vet, to your parents’ or friend’s house for a visit, or on a vacation with you. If this is the case, you probably want to get a spare set of portable, non-breakable, travel-friendly food and water bowls. 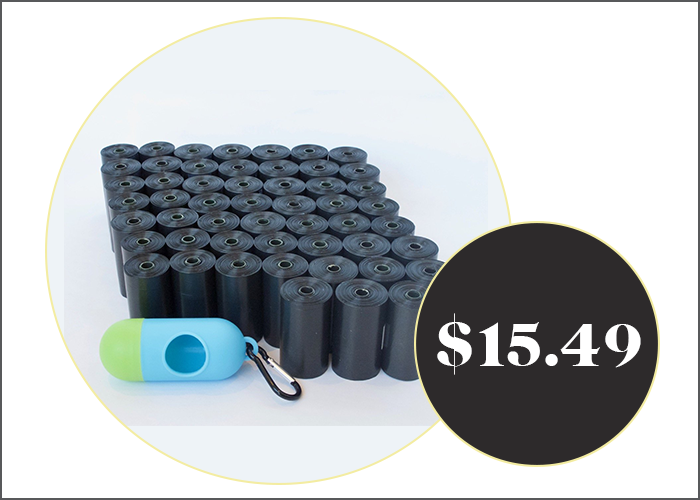 These rubber ones are perfect for road trips to hiking trails, or wherever you might be taking your thirsty pup. 4. Really freaking absorbent paper towels. 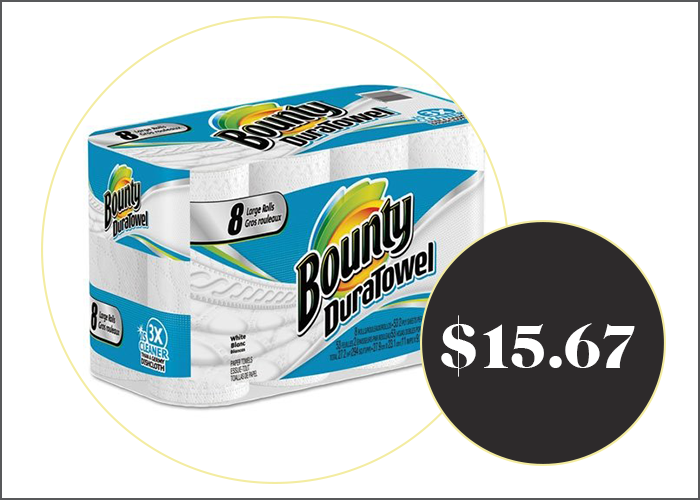 Paper towels might be something you can get away with cheaping out on most of the time — I’ve never really been one to splurge on the thickest, most luxurious quilted paper towels, and have always found the thin-af generic brand ones to work just fine. This, however, has not been the case since I became a dog-owner. I’d much rather spend 50 cents more on slightly-pricier paper towels that only require one piece to clean up one of Gaston’s sweet little pee-puddles than save that tiny amount of money buying an off-brand that requires six of them to soak up the mess. In general, I’ve found paper towels to be one of the most important puppy products to own — I suggest having a stash of super-absorbent ones for the gross messes you’ll want to make sure your fingers don’t touch, and, if you want, continuing to buy whatever other kind you choose for your everyday messes. 5. Lots of lil’ poopy bags. This is especially important if you live in an apartment and need to bring your dog into a public area to do the deed. You can get these at any store that sells pet supplies, but these ones from Amazon are a way better deal. Also, they’re supposedly more environmentally friendly, which is always good, because I feel like I’m being a huge jerk to Mother Earth every time I use an entire plastic bag to scoop up a dog turd. 6. Cleaners that don’t make you sick. You’ll be cleaning up 1000x per day, so if the strong chemical-y scent of Lysol makes you gag like me, you might want to look into some other, more natural cleaners that have a less-strong scent. 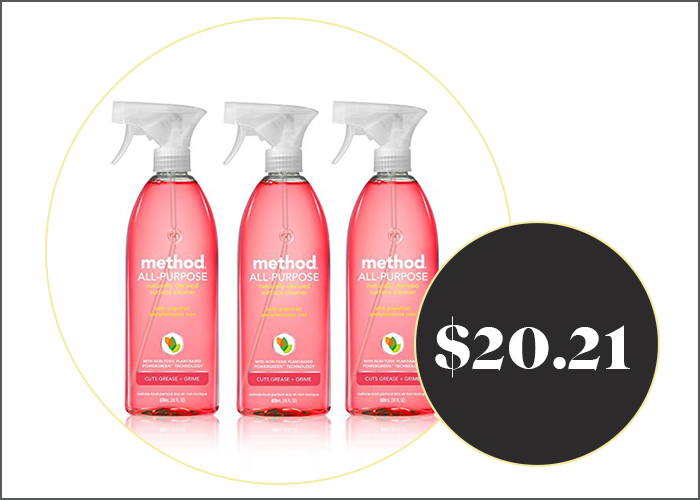 My favorite is this grapefruit-scented cleaner by Method. It is pretty and pink, costs under $5, and smells light and fresh like fruit. It gets rid of dog-pee scent without covering it with a bunch of harshly-scented chemicals, which is all I could possibly want from any cleaner.